Digital version reviewed for Xbox One. Review contains some spoilers. French studio Dontnod Entertainment narrowly avoided bankruptcy after the poor sales performance of their previous title, 2013's 'Remember Me.' 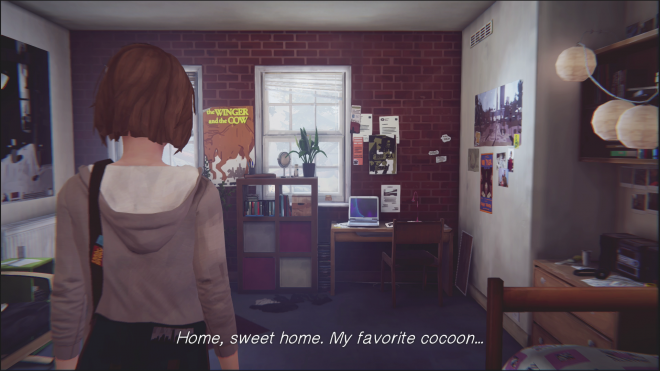 With Square Enix providing the funding and publishing (presumably where several other publishers where shy), the developer has returned with an episodic series, 'Life Is Strange,' and the first episode, 'Cocoon,' has been pitched as something different, but worth playing. 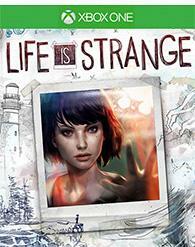 'Life Is Strange' is about a girl named Max Caulfield. She is on the threshold of adulthood, having recently turned 18 and been matriculated into the prestigious Blackwell Academy in rural Oregon for her senior year. Blackwell is an arts prep school with a renowned photography program, headed by a celebrated New York photographer. Max is desperate to become a successful photographer herself, and tries to assimilate into the school’s culture despite an elitist social environment. The game’s intro has Max dozing off in class and experiencing a vivid dream, in which a violent tornado threatens the town of Arcadia Bay while she watches from an adjacent shore. Upon awakening, she is subjected to teasing from her instructor and classmates, and ducks into the bathroom. It is in this bathroom that she witnesses an altercation between two students that devolves into manslaughter and then, after one of them is killed, Max discovers that she can rewind time. She rewinds back into class, scores points with the teacher after she is able to answer his question, trumps her snotty classmate, and then single-handedly prevents the bathroom slaying. I was mostly joking when I commented in last year’s 'D4: Dark Dreams Don’t Die' review that all time travel of note is conducted in the bathroom, but perhaps I was on to something. After the bathroom incident, Max and I went through a series of scenes in typical adventure game style. We learned about the people in her life, such as the authoritarian security guard, forsaken best friend, and nerdy admirer. We explored the school and its inhabitants, sometimes by sneaking around their dorm rooms and taking pictures of stuff. Sometimes, we made big decisions about what would happen next, occasionally with dramatic results. 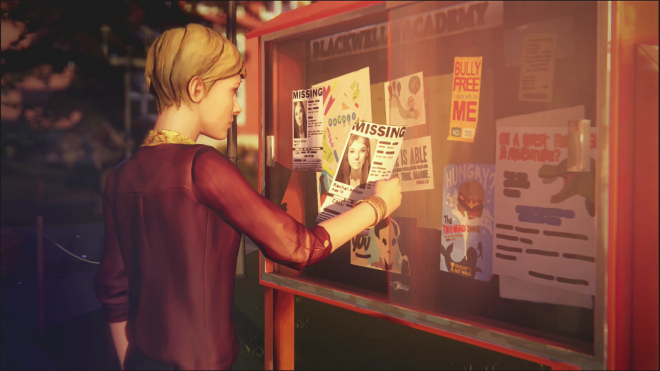 Where 'Life Is Strange' differs from the adventure model is how these decisions are implemented. After each one, I was welcome to rewind and basically have a do-over with Max’s time travel ability. I love this simple ability and yet it could prove to be my undoing. In most adventure titles I often have instant regret when making a decision and wish I could go back in time 30 seconds. Now I can actually do that, and the results have played into my indecisiveness to the point where I would rewind Max 4 or 5 times for each decision until I was satisfied, and even afterwards I still lacked conviction. This ability also lets Max solve cleverly designed puzzles. Because she retains her current position and all accumulated memories when she rewinds, she can do things like tell a classmate to move her head to one side to avoid being hit with an errant football, after watching the classmate get painfully plunked by said football. When a clique of snobs bar her entry into the dormitory, she meticulously sets up a chain of events to cover one of them in paint and forcing their retreat, all while avoiding suspicion. The game has a very relaxed aesthetic, because outside of cutscenes, the rewind prevented anything happening that I didn’t like. Checkpoint restarts are a thing of the past (terrible pun intended). Perhaps it’s because it’s the first episode, but the plot of 'Cocoon' struggles at times. A lot of the narrative impetus stems from teen drama and pettiness - for instance, a subplot closely mirrors the first few episodes of 'Pretty Little Liars' (don’t judge, I have a really good excuse for watching those episodes). Or, it could just be that Dontnod is establishing the setting of a real American prep academy, where the students have to put up with stuff like this in the course of their everyday lives. Still, some of the characters show real promise, like the conflicted Max herself and her tormented friend Chloe. There are a few scenes that skew darker, and I have a feeling that there is something more sinister swimming around just beneath the surface that we will see later. Dontnod’s licensing of the Unreal Engine 3 allows for more visual detail than is typically offered by an adventure game. In particular, the effects during rewinds stand out. The lighting and shadows are quite detailed, and the depth of field during cutscenes is suitably cinematic. Issues are limited to mild chunking and pixelating. 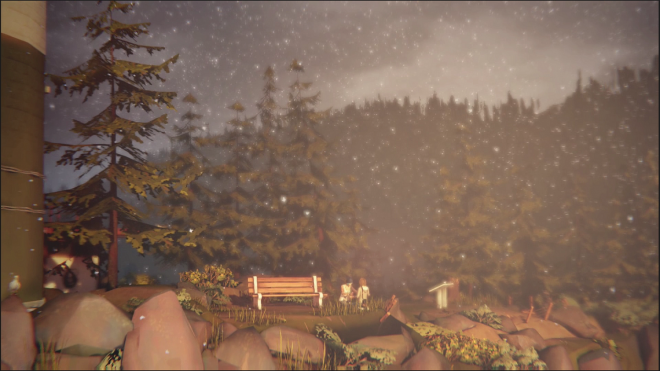 The game’s soundtrack is a mix of indie rock and folk that protrudes warmly into the foreground during otherwise quiet exploration segments. Some of it is licensed from such bands as Local Natives and Mogwai, and the rest is composed by Syd Matters frontman Jonathan Morali. The music is rather sad in a hopeful way, or perhaps hopeful in a sad way. Much of the voice acting is convincing, with only a few performances that miss the mark. The only real hang-up is the lip syncing, which doesn’t line up all the time. While still being an adventure game with a mostly linear story (tempered of course by the player’s choices over time) and subject to the tropes of that genre, I wanted to play 'Cocoon' again after finishing it. I felt like I hadn’t discovered all that Blackwell Academy had to offer, and sure enough I was right. Only thorough examinations will yield all of the episode’s little Easter eggs and secrets. The script has its moments, but I was more interested in 'Life Is Strange's approach to decisions than I was in its dialogue. The seed is there for many of the characters though, and I think with the right narrative they can grow into something much more complex. The second episode ought to be here soon, and I am looking forward to finding out.